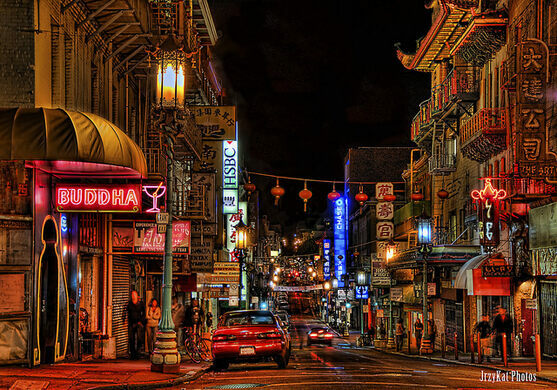 Join us at dusk for a 90-minute walking tour through mysterious Chinatown, once the most dangerous neighborhood in San Francisco. We will conclude our tour back where we began, at the oldest bar in Chinatown, Red’s Place. This is where the Chinatown Squad hung out and where we can hang out and chat over spirits about the spirits of the neighborhood's dangerous past. We will meet at Red's Place. Please arrive a few minutes early so that the tour can start on time. Tickets for this exclusive Obscura Society tour are $25.00 and limited. Advance purchase is HIGHLY recommended. Wear comfortable shoes and weather-appropriate clothing for this walking tour that may include hills and uneven sidewalks.